GetBTC is the first secure exchange platform that offers a simple, safe, and comfortable access to the cryptocurrency market. Trading on this platform is simple and very straightforward. 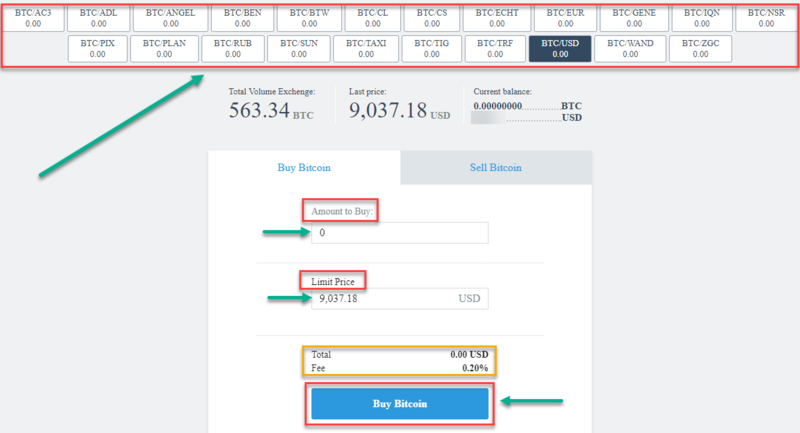 Note that you first have to buy Bitcoin on GetBTC. Next, you can buy Credits (CS) with Bitcoin. The steps indicated below will guide you on how to start buying your first Credits (CS) on GetBTC. Click the “Register” button. You may choose, either the one at the upper right or the one at the bottom. Provide the information being asked such as your email address, preferred username or log-in and default currency. Also, don’t forget to check the ‘I’m not a robot’ box. By clicking on the ‘Register’ button, you now agree to the rules of the platform. Hence, it is best to go through the ‘Rules’ before proceeding. 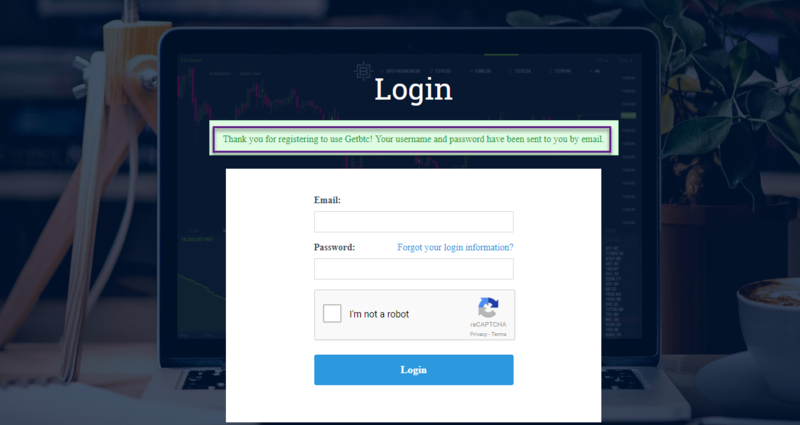 You have successfully created an account on GetBTC. Check your email for your username and temporary password. The email with your username and a temporary password will look like the one below. Your GetBTC registration is now complete! 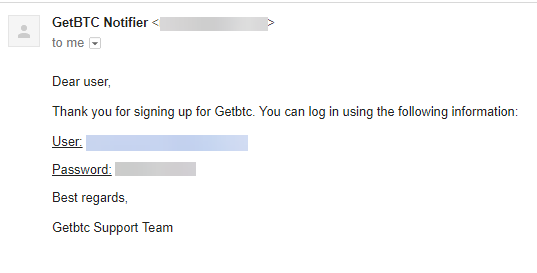 After creating an account on GetBTC, our next step would be to change your temporary password. Make sure it is personalized and secure. To do this, you must log-in to your account first by using the username and password sent to your email. 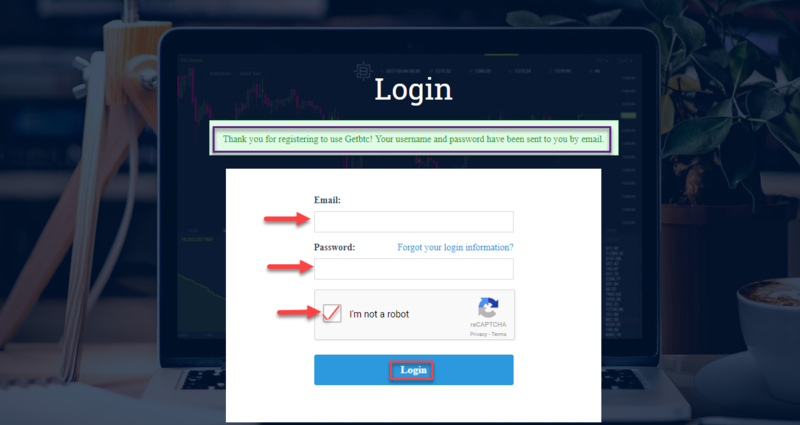 When ready check the ‘I’m not a robot’ box and hit on the ‘Log-in’ button. Enter your desired password on the ‘Change Password’ and ‘Confirm Password’ fields. When ready click on the ‘Save Info’ button. The next page will ask you to follow the instructions sent to your email to authorize the action. Click the authorization link that you received in your email. Good job! You now have your new GetBTC password. Next stop is to verify or upgrade your account. In doing so, you would be able to do transactions in which unverified users have no access. 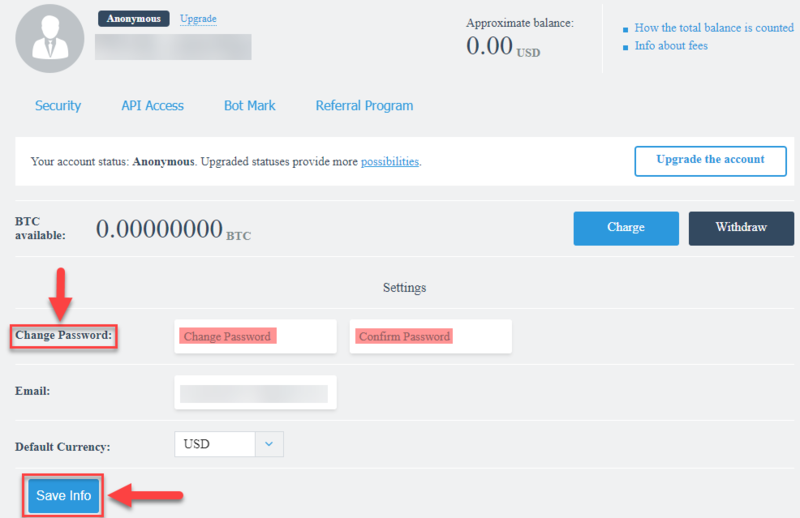 To start and get to the instructions page, click on the ‘Upgrade the account’ button or the ‘Possibilities’ link as shown below. The next page will lead you to the support section where you will find the instructions on how to verify your account. 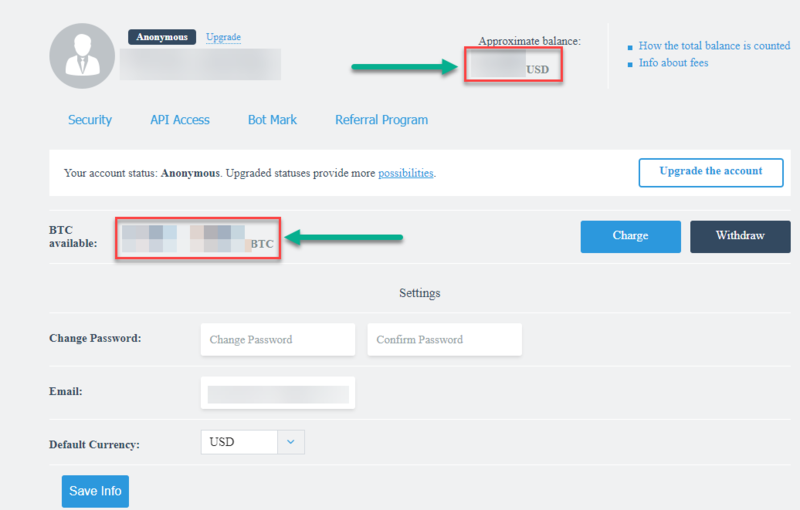 Instructions include creating an account on cryptocapital.co which is mandatory for this process. 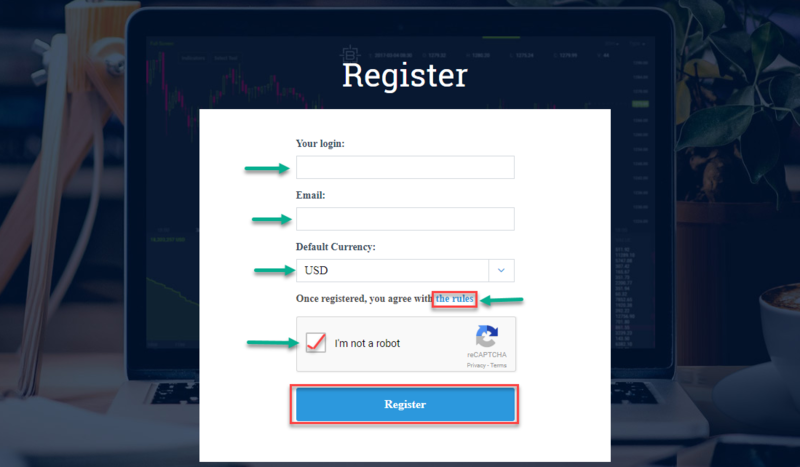 Moreover, you can also check the attached document for the registration process on Crypto Capital. The file consists of steps with screenshots. 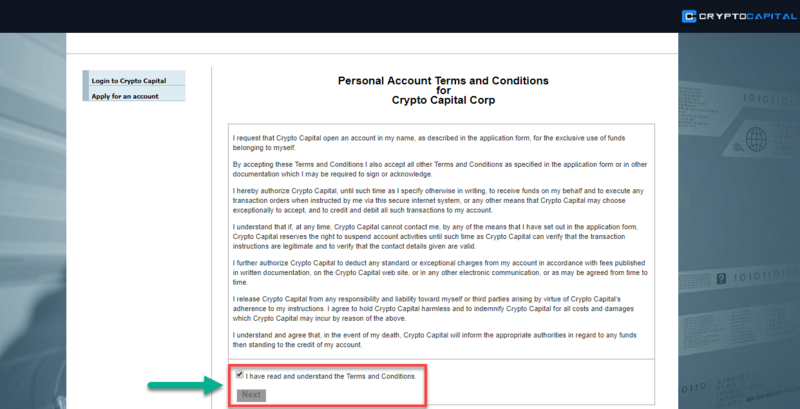 Aside from the document provided, you can also refer to the steps below on how to register for an account on CryptoCapital. 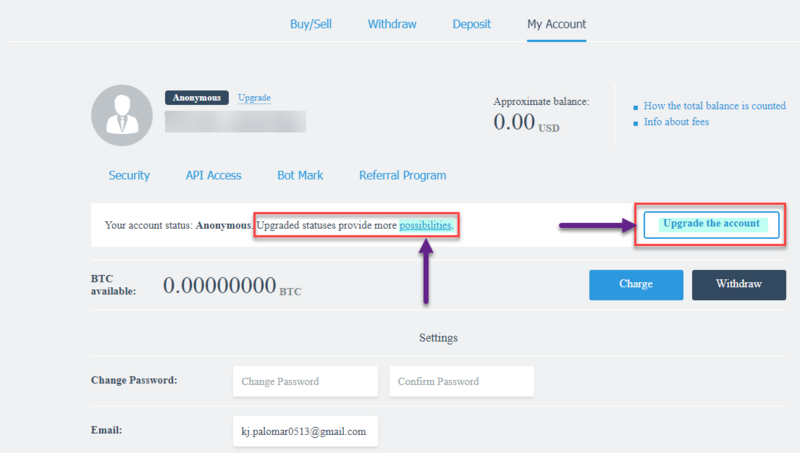 Go to cryptocapital.co and click on the ‘Register’ button located at the top. Hit on the “Open a Personal Account” button. Check the acknowledgment box after reading the “Terms & Conditions” and click Next. The next page will require you to provide your personal and other essential details. Submit the form once finished. 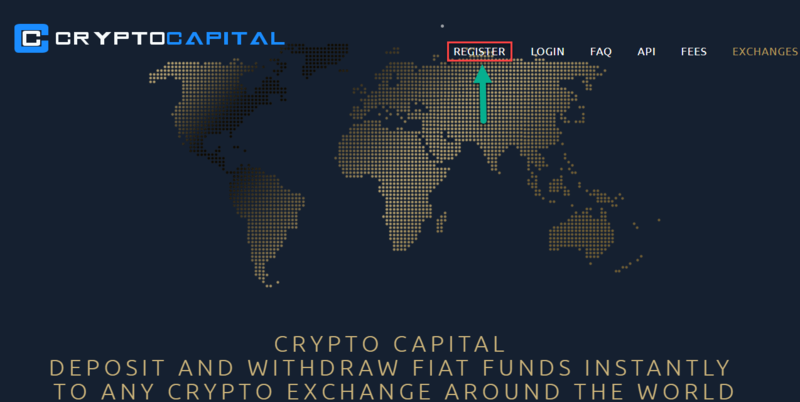 CryptoCapital support will review the registration request, and you will be made aware if approved. 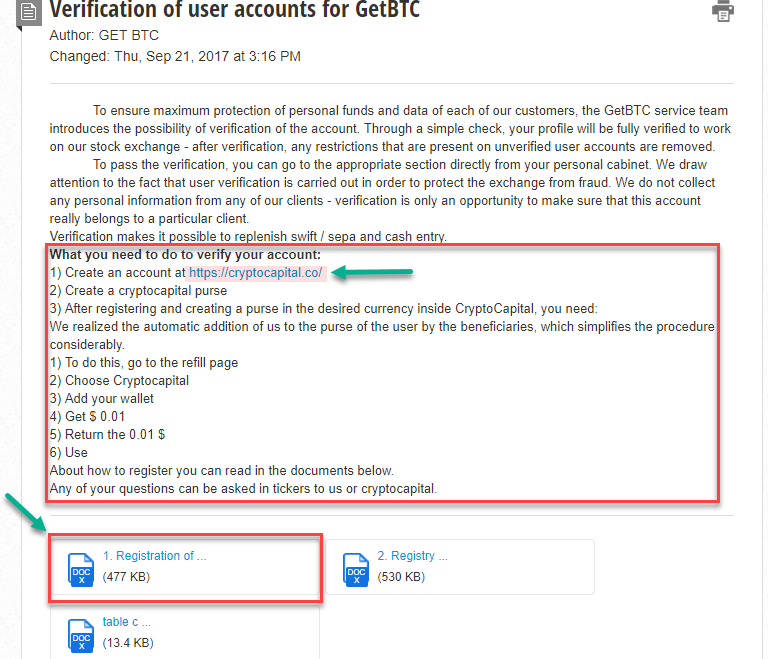 After your CryptoCapital account is approved, continue with the next steps for the verification process by referring to the instructions page and the attached document. You did it! Your GetBTC account has been verified. 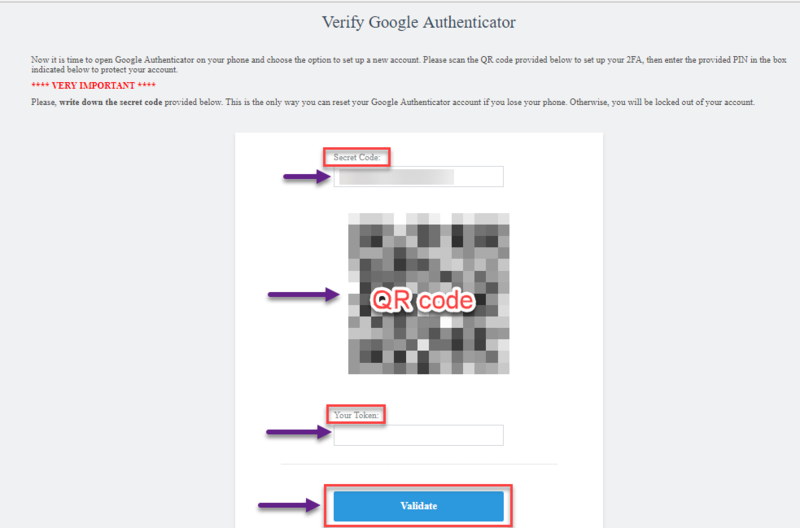 For this step, we will show you how to enable 2FA using the Google Authenticator. From the ‘Account’ page look for ‘Security’ and click on it. Download and set-up the “Google Authenticator” app on your smartphone. You can also find this from your ‘Play Store’ app. After downloading ‘Google Authenticator’ and selecting it as our method, we are now ready to enable 2FA on your account. 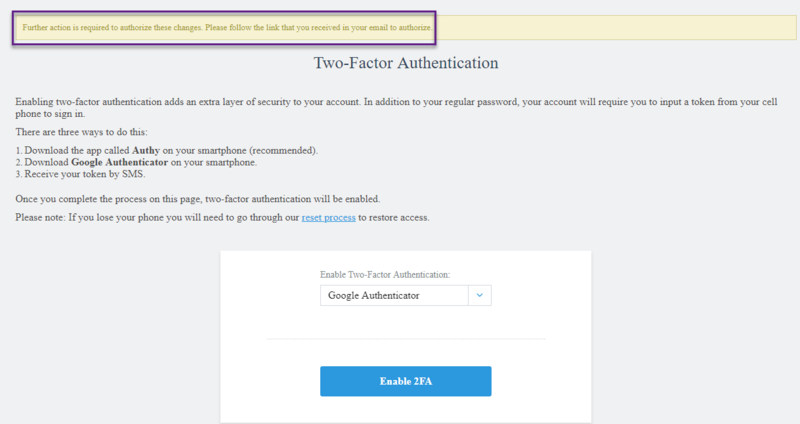 To do so click on the ‘Enable 2FA’ button. Note: A reset process is available if the phone used for authentication gets lost. Just like the changing of password you will also be required to check your email to authorize this action. Click on the ‘Authorization link’ that is in your email. The next step will now require you to scan the QR code. To execute this, open the ‘Google Authenticator’ on your smartphone and add a new account. Scan the QR code provided and enter the 6-digit code from the authenticator app on the ‘Your Token’ box. Hit on the ‘Validate’ button to complete the process. Important note: Secure the provided “Secret code” as you will need this in case your phone gets lost. 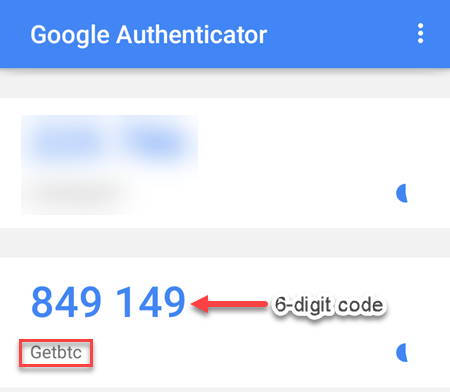 See below an example of a 6-digit code generated by the Google Authenticator. Nice! 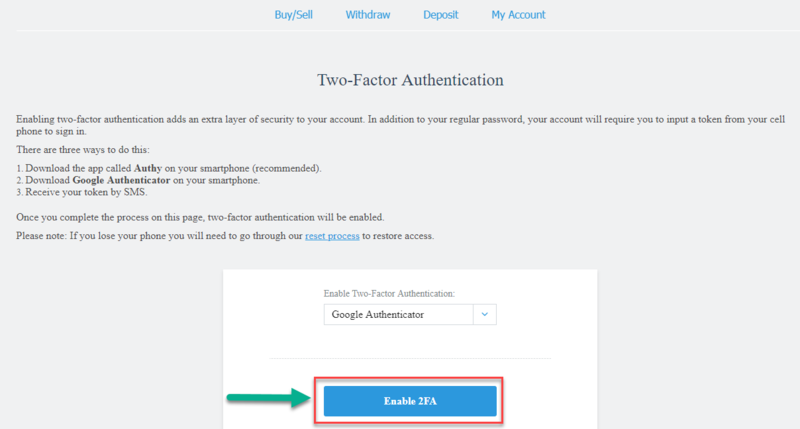 Two-Factor Authentication is now active on your GetBTC account. Enabling 2FA means safe and secure transaction. Since 2FA is now activated, we can now proceed in putting money into your account. But before doing so, we need to add a Crypto Capital account first. 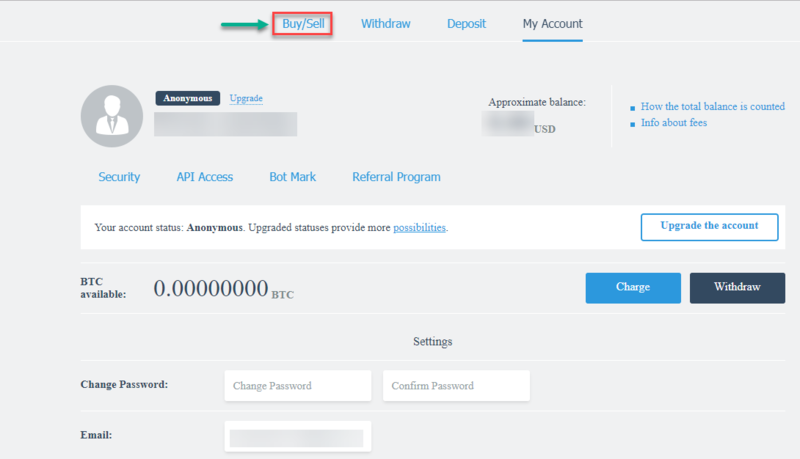 This step is required so you can make deposits into your GetBTC account. Thus, the reason why you were asked to create one during the ‘Verification process’ which is step 3. Please click here to go to the ‘Bank Accounts’ section. Click on the ‘Add Account’ button to add your Crypto Capital account. 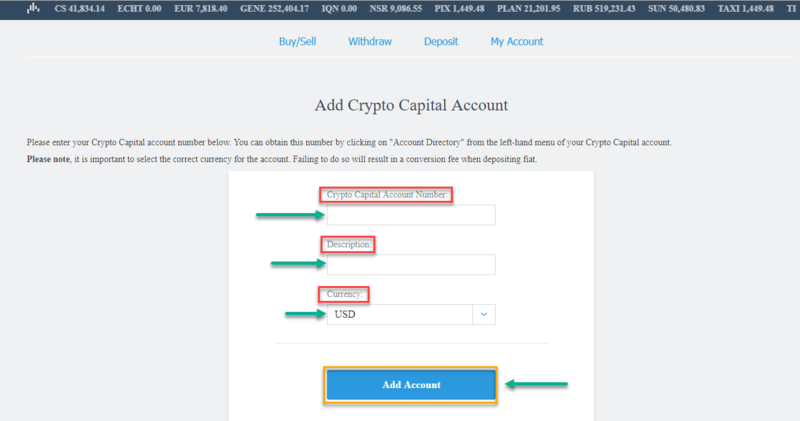 Enter your ‘Crypto Capital’ account number, description, and currency. 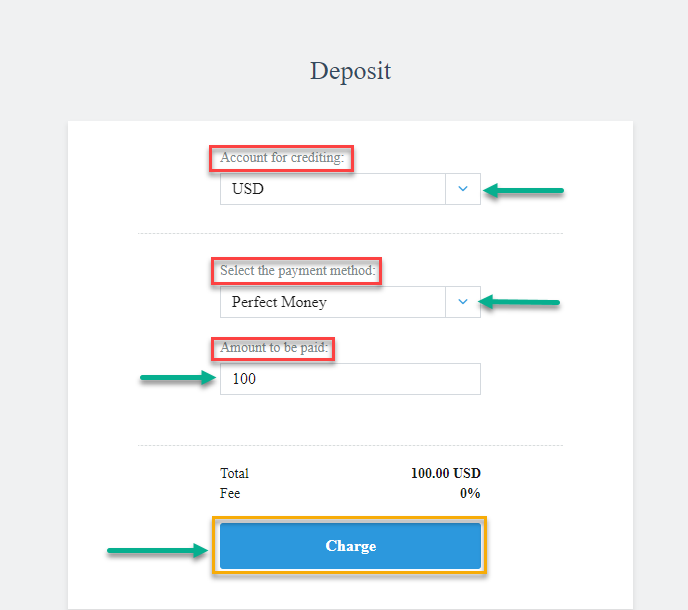 Make sure that the currency selected is correct to avoid a conversion fee. Click ‘Add Account’ after confirming that all information is correct. 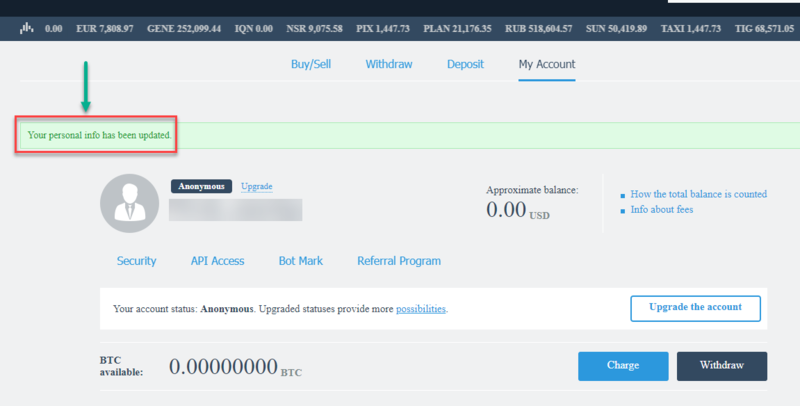 You have successfully added your Crypto Capital account! You may now make a deposit or fund your GetBTC account. 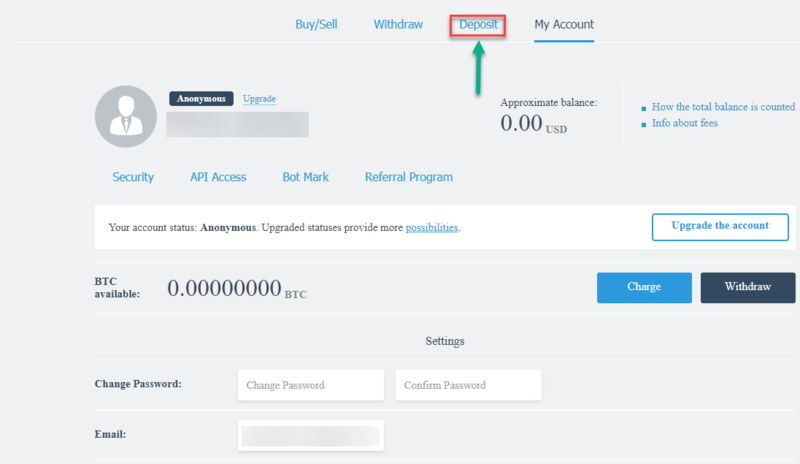 From the ‘My Account’ section click on the ‘Deposit’ tab to initiate the deposit process. Enter the Account for crediting, Payment method, and Amount to be paid. Confirm that all information is correct. After agreeing to the ‘Total amount’ and ‘Fee’ click on the ‘Charge’ button. To complete the process follow the next steps provided on the next page depending on the ‘Payment method’ you have selected. A prompt will show up stating that the deposit is complete. You can view your available funds under the ‘Approximate balance’ on your ‘My Account’ section. Excellent! Your GetBTC account is now funded. Finally! 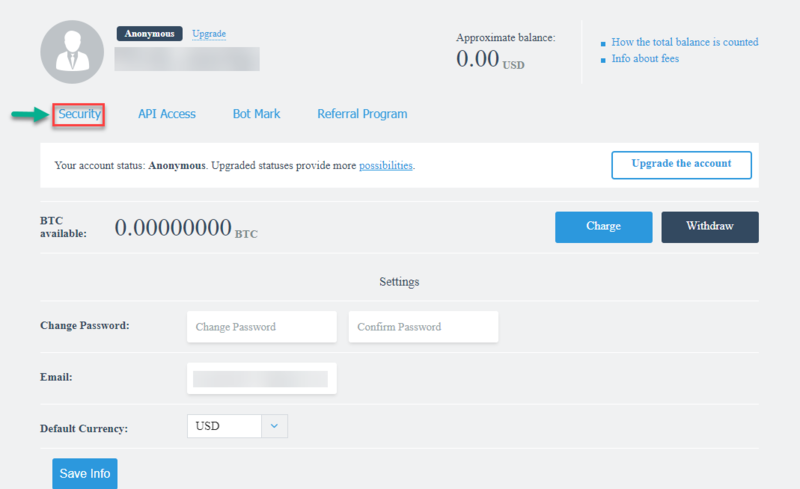 Since funds are already present on your account, you can now buy your first Credits (CS) on GetBTC. To buy click on the ‘Buy/Sell’ tab. Select the correct combination (Credits (CS)/account) which you can find at the top. Enter the amount of Credits (CS) that you wish to buy on the ‘Amount to Buy’ box. Check the Limit Price, Fee, and Total and see if you agree. If you do, click on the ‘Buy Bitcoin’ button. 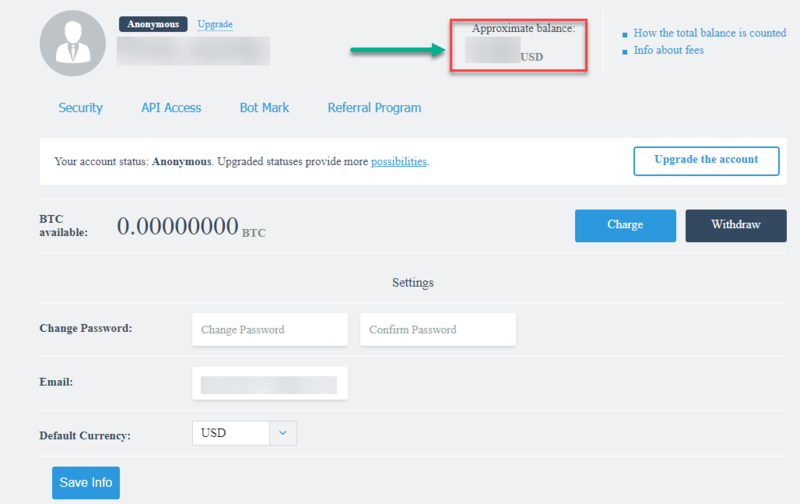 You can view your available funds (Approximate balance) and Credits (CS) (BTC available) balance from your ‘My Account’ page. CONGRATULATIONS! You have bought your first Credits (CS) on GetBTC!